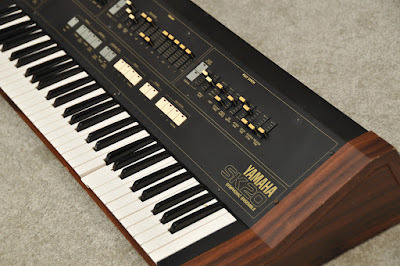 The Yamaha SK-20 was my first ever analog synth. 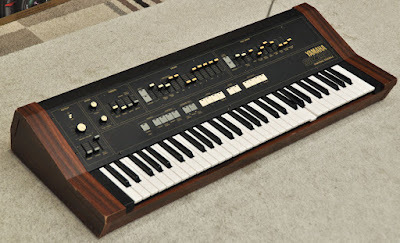 I once saw one in a very strange music store and tested it briefly, but only some years later I really decided to get one, (not from that particular shop though, as the storekeeper asks about thousand euros more than it’s worth of…) I had already some experience about synths, but they all had been all digital, (romplers, virtual analogs and digital synthesis in hardware and software). The SK-20 really opened my eyes, or should I say my ears. Now I begun to understand the analog vs. digital thing. I know some people are analogue-puristics. I’m not, but I can understand why somebody is. I’m happy to use anything that makes good noises, analogue or/and digital, but I’d like to add still another dimension – the vintage factor! In my opinion there are some things in the past that are superb. I was of course curious about the SK-20, played a lot with it when I got it, and I became fascinated very soon. 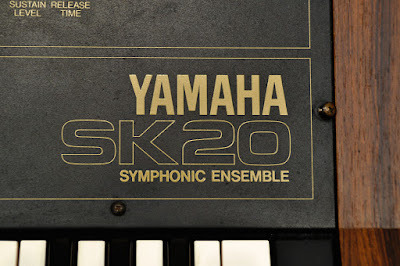 The pure raw sawtooth wave of the SK-20 puts almost anything modern in shame. It has so much balls, edge and character! The SK-20 is a "symphonic ensemble", so it’s not a dedicated synthesizer like the Yamaha CS-series of the same time, but it’s kind of a combo keyboard. 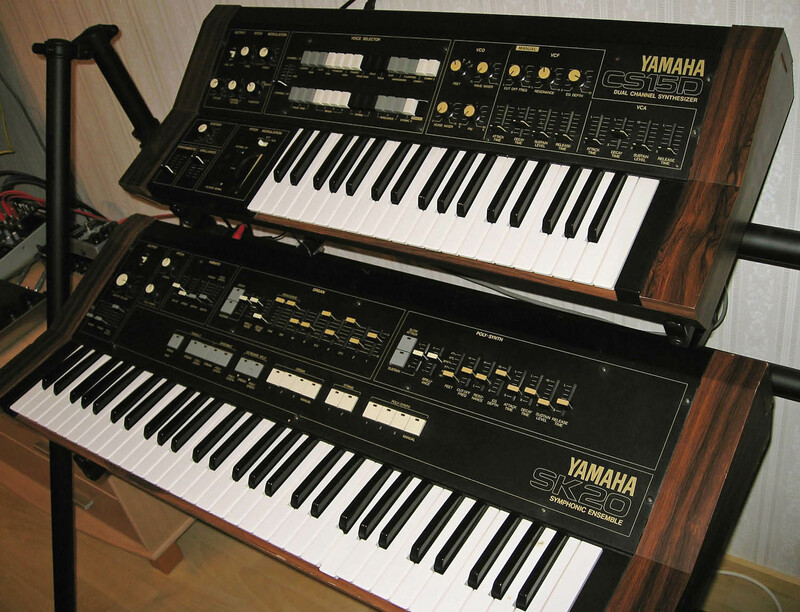 There is a quite limited (seven voice) poly-synth section, which I think was supposed to provide the brassy sounds. Fortunately there’s very juicy sounding lowpass filter onboard (with resonance), so some nice synth stuff can be made. 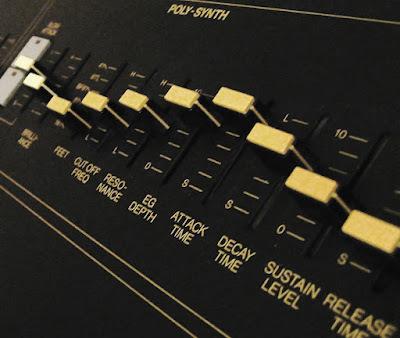 The filter has ADSR envelope, but the VCA is really basic with only fixed "slow attack" and variable sustain options. There’s only one filter for the whole polyphony, so that can be pretty restrictive for some tasks. 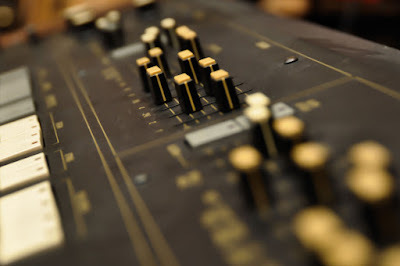 You can have sawtooth waveforms from 16′ to 4′ feet and square wave from 16′ to 8′ feet. Surprisingly there’s an option to have the 8′ sawtooth with bandpass filter mode. Don’t know why it’s available only in that one octave but it surely is most welcome. Then there’s a feature that is not mentioned even in the manual. If you switch the waveform/feet selector in between saw and square waves, the result is that they both sound at the same time! Very ballsy and aggressive waveform! 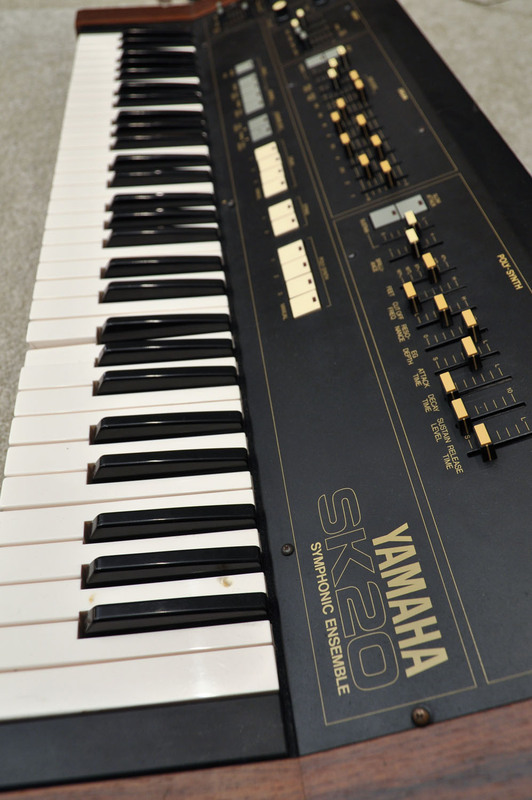 The SK-20 has a string machine too. It’s most limited with only two presets. 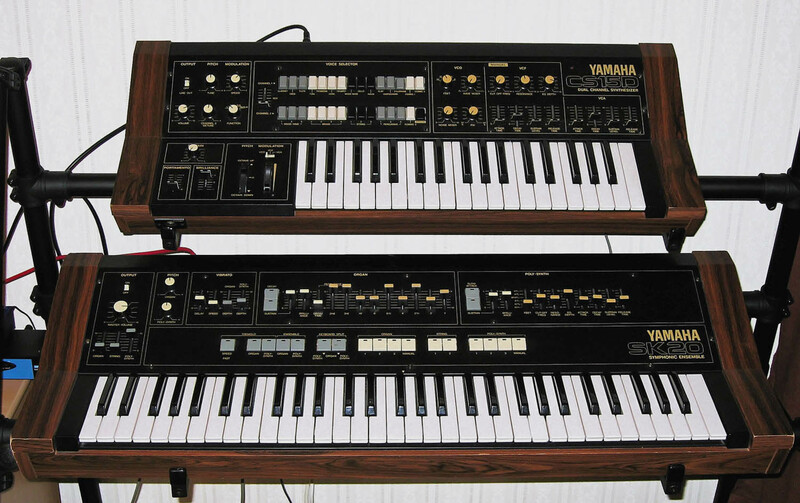 These are basically sawtooth in two different octaves. 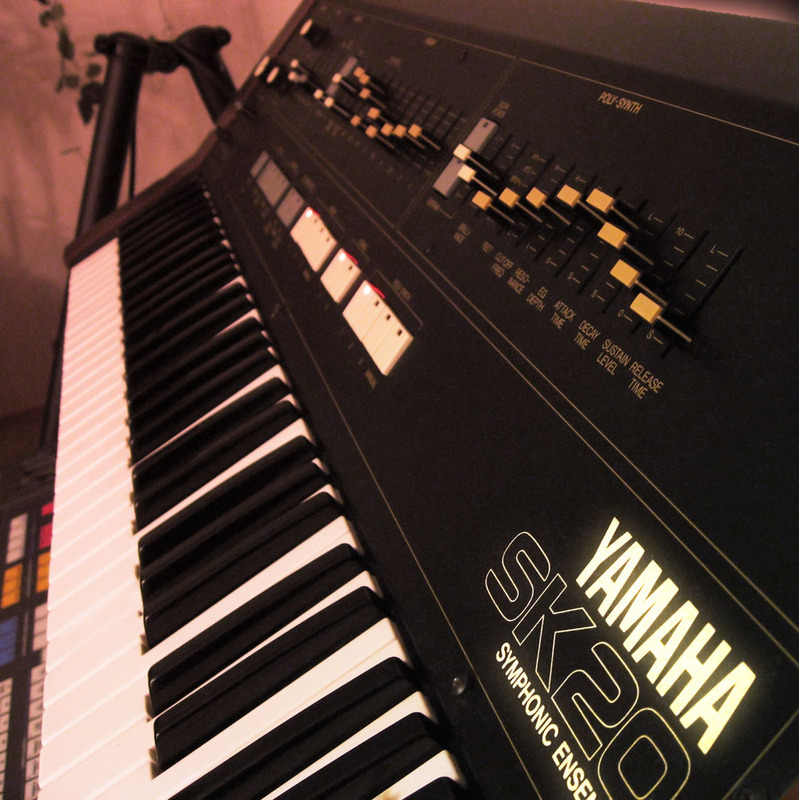 The slow attack and sustain options from the synth section applies to the strings too. And that’s it… Wait! There is more. The strings are all about the fabulous ensemble effect! It has a very distinctive sound, very 70′s string machine sound and vibe. Good! 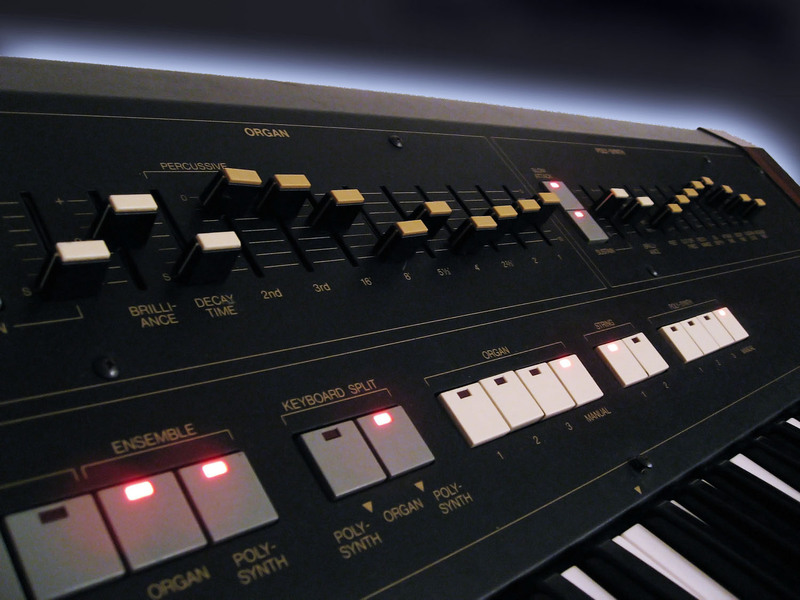 So make sure you don’t use only the individual output of the synth as the ensemble effect is only routed through the "MIXED" output! At least that’s how my SK-20 works. 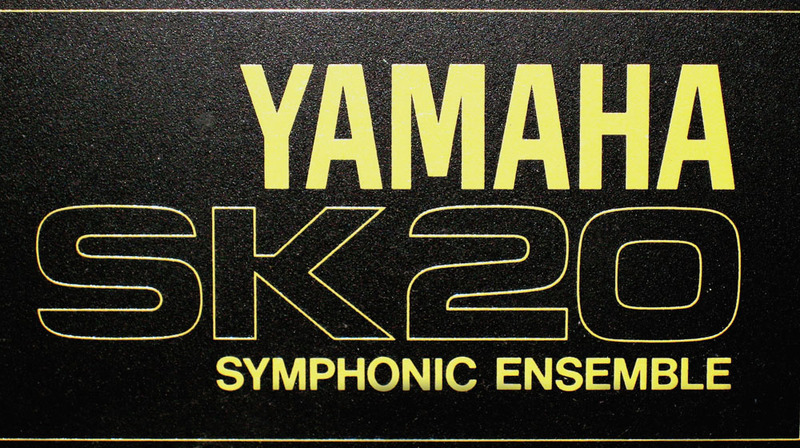 Probably shouldn’t be mentioned last that there’s quite a good organ section in SK-20 too. There are three presets and manual setting where you can use the seven drawbars (sliders) to make your own sound. You can have percussive attacks too. It’s a very nice little organ and the SK-20 provides a leslie connection too. If you don’t have that leslie laying around, do not worry, the ensemble circuit makes up with a highly usable leslie simulation in "tremolo" mode. You can even hit the speed button to fast or slow and hear the tremolo to speed up or slow down correspondingly, just like the real thing! 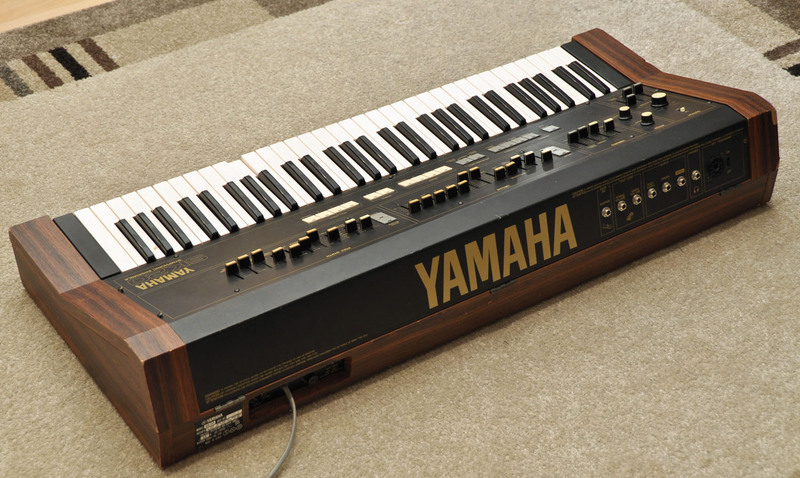 You can also modulate all the sections with vibrato. 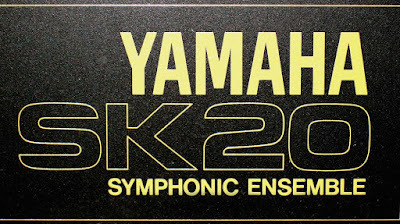 The fun part of the SK-20 is that you can layer and mix all of the three instrument sections at once for truly different and unique sounds. Then apply the ensemble effect for those beautiful organ-string pads and enjoy. Or just run it through a Small Stone phase shifter for some Jarre-stuff. Shortly after getting the SK-20 I got my second analog gadget ever. It was a nice custom-rackmounted Small Stone from the 70′s. I played some string chords with them and was just listening in awe for that beautiful resonating, vibrating and evolving warm sound that came out. It was something I had never heard in the digital realm. CS-15D on top and SK-20 on bottom.